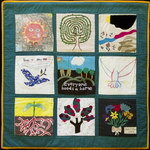 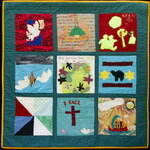 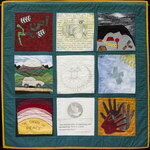 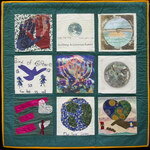 The Middle East Peace Quilt is an international community art project made by over 300 people ranging in age from 5 to 85, including men and women, Jews and Palestinians and professional artists as well as people new to artistic expression. 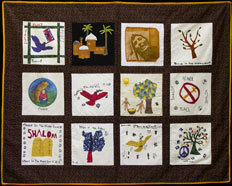 Each square is accompanied by the words of the people who made it. 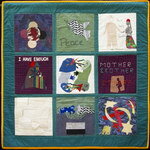 Click on any image to see a larger version of that panel and then on any individual square to see it in detail and read its accompanying statement. 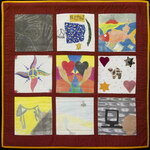 All the work on this site is available for travel. 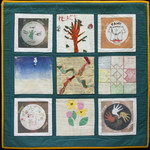 Please get in touch if you want to arrange an exhibit.